It was dark and gloomy as I stood on the sidewalk studying the artfully carved pumpkin on a doorstep. Then, a voice called from behind, “who do you think it is?” I spun around to see a hulking vampire complete with black cape, white fangs and red lips. She was wonderful! While her big smile betrayed her role as a vicious vampire, she was intent on having me guess who the carved face in the jack-o-lantern was. A woman in the house comes out holding what looks like an ice pack on her cheek. She joins the conversation and I’m more uncomfortable with her, wondering if she’s an abused spouse when, you guessed it, the spouse comes out. Ready to walk away, they held me back insisting I guess. Apparently the spouse carved the pumpkin. While he definitely has talent and I have to admit the face in the pumpkin does look familiar, this Halloween scene is too spooky for me to concentrate on anything but a graceful escape. Before I leave they announce it’s a Trump-kin! 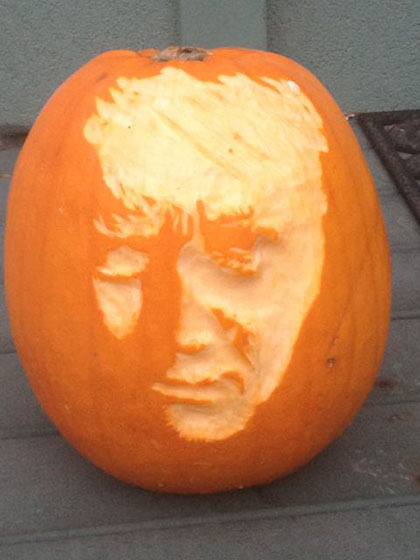 It was the familiar face of Donald Trump that made the pumpkin a little scarier than it needed to be. As I was about to leave the women releases the ice pack from her face and tears off a strip of paper revealing a temporary tattoo of a gruesome scar underneath. All in the name of Halloween fun! Now that the gruesome day is behind us I see pumpkins topping garbage cans and disappearing from front porches. But wait! Don’t let the thought of edible pumpkins be thrown out with the decorative ones. What’s the difference? None! It’s a fact that all pumpkins are edible and so are the seeds. But this doesn’t mean they’re all equal. I told scarface, if you want to cook up your Trump-kin, go right ahead! But it will probably cook up stringy with a coarse texture. No surprise there, ha, ha. Donald Trump aside, large pumpkins won’t give you the smooth, velvety, succulent pumpkin puree we’ve come to love. The best pumpkins for pie making are the ‘Pie Pumpkins’ often called ‘Sugar Pumpkins’. It has a sweeter taste and smoother texture to luxuriate across your palate and create that dreamy fall flavour. The name pumpkin comes from the Greek word ‘pepon’, meaning ‘large melon’ and scientifically speaking, they’re really a fruit, but culinary speaking, they’re a vegetable. Confused? Ok, then take it from me, the flavour and texture of pumpkin is both hearty and luxurious making it one of the most creative foods to play with every fall. Many can’t resist the flavour of pumpkin laced with spices (nutmeg, allspice and cinnamon) and others prefer pumpkin and maple together. But it doesn’t matter which camp you’re in because either way, warm pumpkin flesh lends itself to cheesecakes and Crème Brulee; the flavour works in pancakes and cookies, soups and my favourite, whoopee pies! The smallest of pumpkins are edible and delicious but they really don’t have much flesh to cook up. So why do we see them everywhere? Because they’re perfect to craft into bowls to hold a warm, hearty stew or corn chowder. Pumpkins come in a range of colours and sizes. 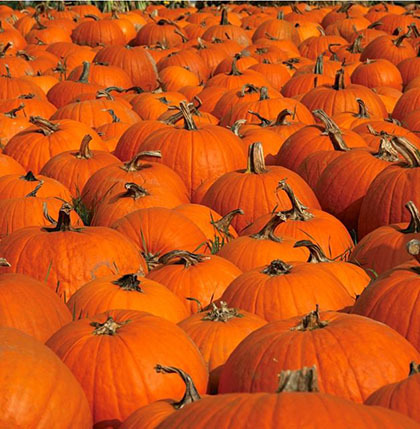 The average sized pumpkin is around 13 pounds but can be grown to over 1,000 pounds for competitions! In 2010, the world record was 1810 pounds! Now that’s huge!! Not edible of course – well, technically yes, but I guarantee it wouldn’t be pleasant. There’s nothing more romantic than the brilliant fall colours and spotting a vast brown field coloured with orange polka-dots. Pumpkins are everywhere right now. 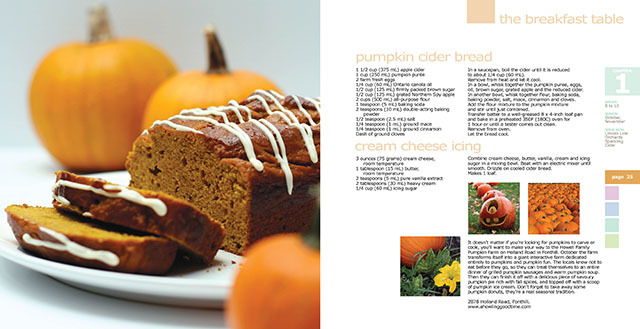 Enjoy the season, experience the flavours and let pumpkins become part of your favourite fall memory. After all, pumpkins are more than a Halloween decoration with a comb-over. 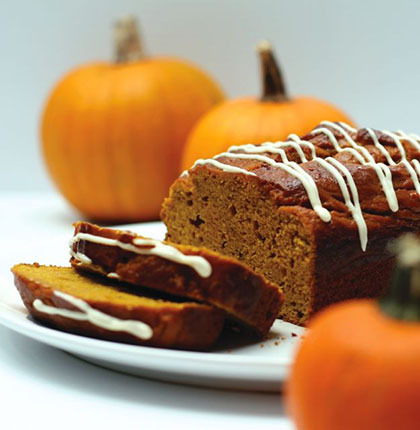 My top 10 best pumpkin recipes ever. 7 Pumpkin Fritters with Rosemary and Cheese, from What About Second Breakfast? We are all connected to the seasons. That’s why we crave light salads and chilled watermelon in the summer and root vegetables and roasts in the winter. As I pull the collar tighter around my neck on this frigid winters day, I can feel my body craving savoury foods. Isn’t it wonderful that when we begin to crave certain things, Mother Nature is right there to provide them for us? Winter is the time for root vegetables; farmers have long ago picked the last of the potatoes, carrots, squash and onions from the fields. They all go together in one roasting pan with plenty of the season’s last herbs. It’s a savoury vegetable medley that becomes scrumptious when slowly roasted with meats and poultry. When it’s done, the kitchen is full of the spellbinding smells of an autumn kitchen. Lay them on a plate and dig in; it’s magically delicious and magnificently satisfying on a winters cold night. Good home cooking doesn’t get any better. My favourite way to eat mushrooms is roasted. I don’t like them raw in a salad, they can be so bland; cooked improperly they can be slimy. But properly roasted, they become meaty, deeply flavoured and like a sponge, intensely flavoured by other ingredients in the pan. A superb pan of roasted mushrooms is easy enough to perfect. Trim, wash (yes, it is ok to wash mushrooms) and quarter big white mushrooms. 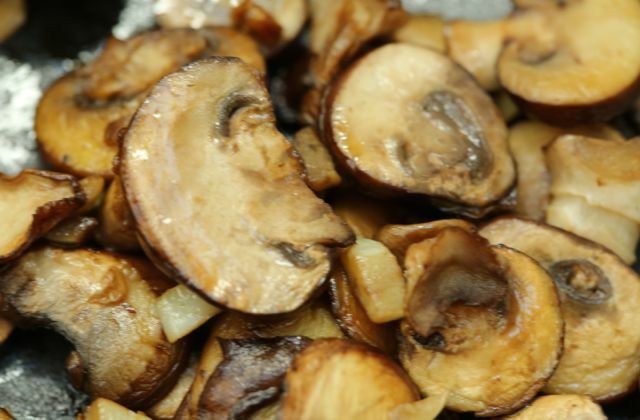 Plan on using twice as many as you need because mushrooms shrink down to about 50% of their original size – but become a hundred times more flavourful! Toss them with olive oil, salt and pepper and roast them in a moderate (350-375F) oven for about 15 minutes. That’s long enough for them to release all their liquid. The key to great mushrooms is to completely drain this liquid so they don’t end up steaming or boiling in their own juices. Mushroom juices are flavourful and nutritious so keep them for your next pot of soup. Once drained, drizzle with a bit of olive oil, sprinkle with your favourite herbs and continue roasting until browned, about another 30 minutes or more depending on your oven. Or if you have a joint of beef or whole chicken baking away, you can put them around the roast at this point and carefully spoon pan juices over them for more flavour. Tear pieces of bread from a French loaf and dig in, you’ll love these savoury, meaty mushrooms. When the snow is blowing outside, there’s nothing better than a rack of ribs roasting for hours in the oven. 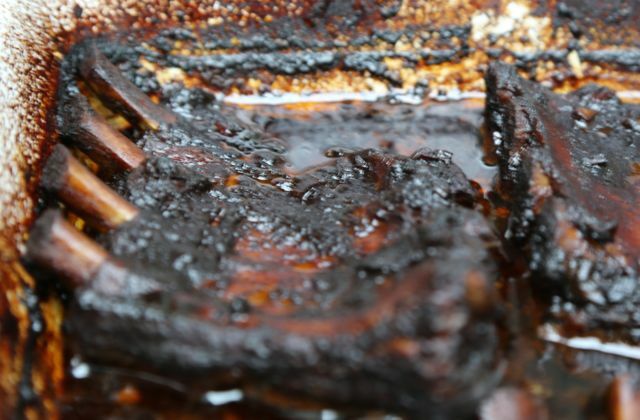 The slow and low method tenderizes ribs like parboiling can’t. Rub them first with a dry rib rub so the flavour sinks in slowly. After 4 to 6 hours, turn up the heat, slather them with a zesty barbecue sauce and let them caramelize well. Now pile them on the dinner table. The outsides will be crunchy and glazed, the insides so fork tender the meat will simply fall off the bones. Make enough for seconds! While the oven is hot, take advantage of it and roast some potatoes to go along with those ribs. What? Your oven-roasted potatoes are a little bland and mushy? If you love potatoes and want the crustiest potatoes with soft centres, it’s not just a matter of throwing them into a roasting pan. You need to build the crust. My grandmothers’ secret was to pre-boil her peeled and quartered potatoes in water spiked with a tablespoon of vinegar. I’m not sure what that does but no matter what I do differently, my potatoes never come out as good as hers. 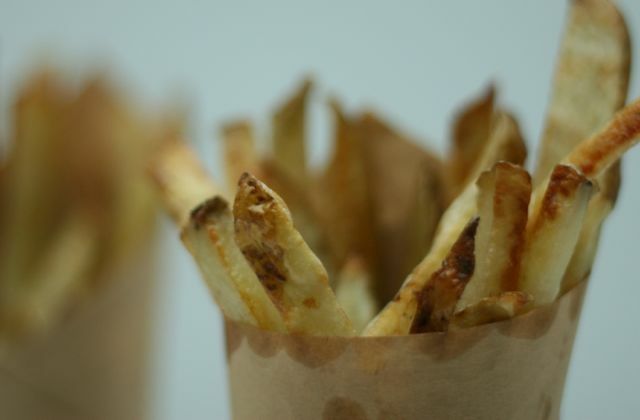 Once boiled, drizzle olive oil on them or use my secret ingredient – duck fat! Toss really well to coat them completely and roast them in a very hot oven (450-500F) until absolutely insanely crisp. Good home cooks like my grandmother don’t necessarily need to know the science behind successful cooking techniques; they just trust that they work. You’ll love these roasted potatoes and will want to make them with all sorts of roasted meats, especially a brined chicken. You can find brining salts in a grocery store. Boil them in a quart of water, add plenty of cold water and totally immerse a chicken in the liquid. Let this sit overnight while the saltiness gets into the flesh of the meat, tenderizing and making it ultimately more juicy than the chicken can be on it’s own. I add a jug of cold apple cider to the warm brine and top with enough cold water to cover the chicken. With the lid on, it sits in the cold garage overnight (doesn’t fit in my refrigerator). When ready to cook, roast the chicken according to your favourite recipe and you’ll end up with uber juicy and fork tender white meat and addictive deliciousness that will have you brining and roasting every cold weekend. 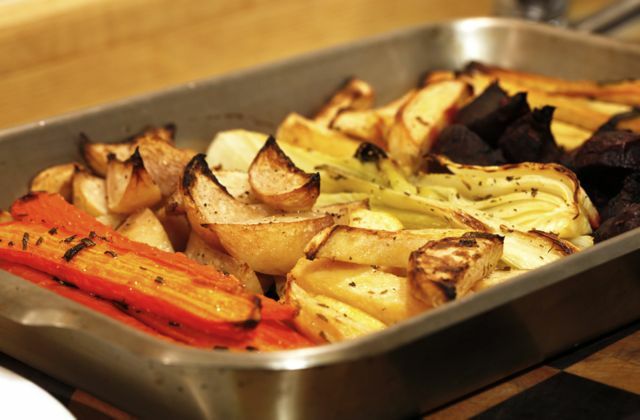 How many times have you tossed root vegetables with oil, thrown them on a baking sheet and cooked the in a hot oven until tender? And on a scale of one to ten, how exciting are they? Ok, to get more out of your roasted vegetables, it helps to understand each one’s unique characteristics, where you want them to go and how to take them there. Take carrots for example. 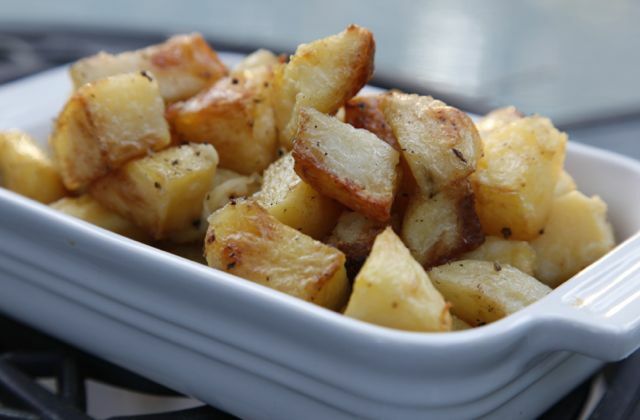 Unlike potatoes, they are loaded with sugar that caramelizes and browns for a different complexity of sweet flavours. The challenge with carrots is that by the time they’re soft and caramelized, they’re usually shriveled. Try pre-boiling scrubbed but not peeled, fresh carrots in salted water until almost al’dente. Fresh carrots are the ones with their tops still attached. Bags of stored carrots (without their tops) are thicker and firmer and will need to be cut. Once pre-boiled, drain and toss with olive oil and add your favourite fresh herbs. Finish them in a moderate oven (350-375F) for about 40 minutes. The pre-boiling will add a bit more moisture so the roasted carrots don’t shrivel. If you’re looking for a way to eat more root vegetables, this is also a great way to cook parsnips. 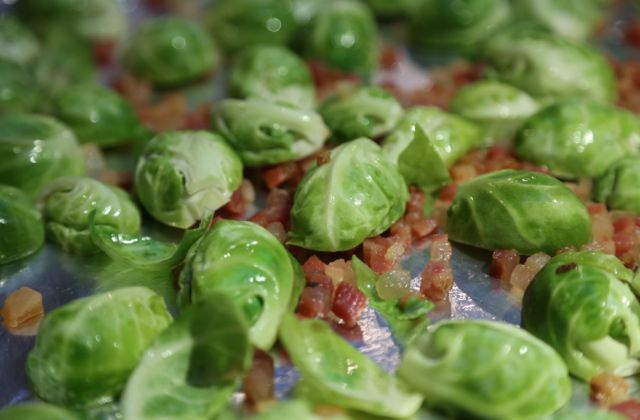 Growing up as a child, I always hated Brussels sprouts. But not today! I trim them and cut them in half, toss them in olive oil and diced, cooked bacon. Season well, then roast in a hot oven with the bacon, in a single layer on a cookie sheet, cut side down. When they’re browned on the bottom, transfer them to a bowl and watch as your family devours them, they’re super-delicious and easy to roast. Proper roasting techniques is the key to savoury, rich-tasting meats and vegetables with little fat (except for my potatoes!) Farmers’ markets will have all the necessary root vegetables all winter long so you can still base your roasted choices on spontaneous whims. Try to balance earthy tastes like rutabaga, celeriac, parsnip, Brussels sprouts and turnips with sweet, rich vegetables such as onions, potatoes, yams and carrots. So let the winter bring on the cold weather, I’m roasting inside! For more winter roasting ideas see my Pinterest page. Bushels of these shiny, red beauties can be found at farmers’ markets just waiting for someone to turn them into warm, spicy baked desserts. Especially when they’re bathed in cinnamon and sugar and surrounded by buttery, flaky pastry. 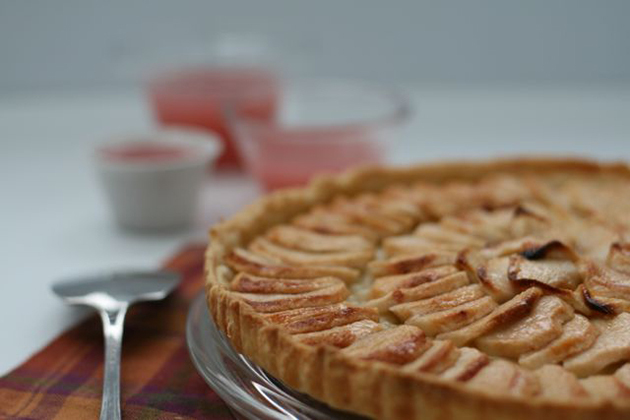 It’s simply instinctive to be thinking about freshly baked apple pies, apple blossoms and fresh apple cider at this time of the year. Apple pie is indeed the benchmark by which all other apple desserts are measured. It seems that every family I know has a special person who is admired for baking the best apple pies. 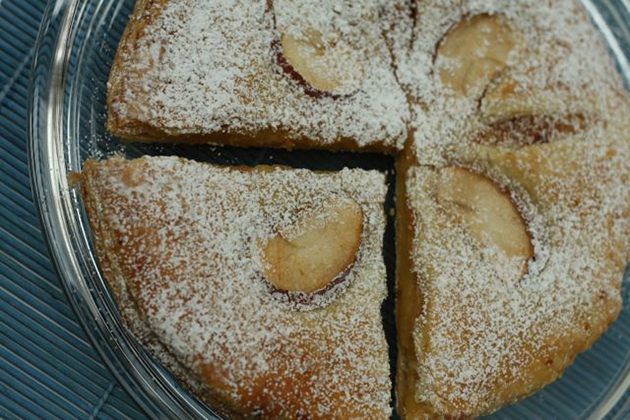 Many make the traditional two-crusted version, some are streusel topped, others claim their “mile high” apple pies are indisputably the best, where a few are loyal to their French-style apple tarts with seductively, wafer thin apples layered circularly around the crust. Large families, like mine, make apple pies in large baking sheets and cut them into squares in an attempt (albeit futile) to have them last longer. Regardless of the various styles, the mother of all apple pies are the ones with more apples and less crust. In fact, there is a woman I know who claims her apple pie is so high, she has to carefully balance the apples in the shell before putting the top crust on the pie. If you’re on a quest for the ultimate apple pie recipe, don’t overlook all the other apple-packed temptations along the way. For example, if you’re not very confident with your pastry-making skills or if you’re just plain in a hurry, apple crisps, crumbles and brown betties are practically foolproof and they’ll give any fancy apple pie a run for its money in the flavour department. Serve an apple crisp, crumble or brown betty under a delicious scoop of vanilla ice cream or assemble them in individual ramekins or custard dishes instead of one big pan. Spoon apple crisp into small plastic containers; they make an easy and appreciated school lunchbox treat. Markets are piled high with a wide assortment of apples right now so you may want to choose your apples wisely. 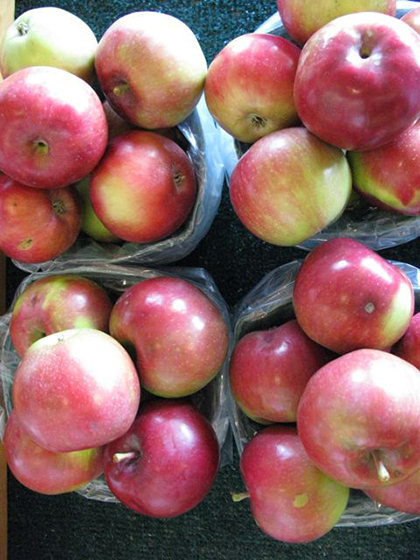 The most common choice for apple pies are Courtland, Northern Spy, Jonagold, Golden Delicious and Winsap. 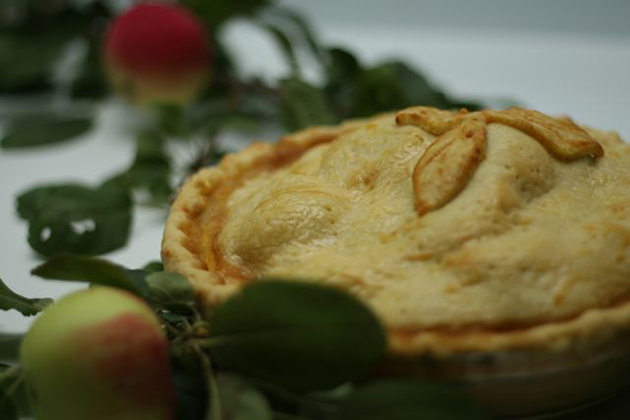 Some expert bakers claim their secret to an exquisite pie is to use a blend of different kinds of apples in one pie. Golden Delicious will hold their shape, Granny Smith adds a tart flavour and for an apples greatest intensity pick up Crispin, Winsap and Jonagold. One medium apple yields about 1/4 cup (175 mL) of sliced apples so depending if you like your apple pie thin like the French or mile-high like in Ontario, you can always adjust with this basic measurement. Unlike peaches, apples will continue to ripen after they’re picked making them idea for storing. To keep small quantities of apples at home, put them in the refrigerator away from strong smelling odors (apples absorb odors). Apples will over ripen quickly if left at room temperature. 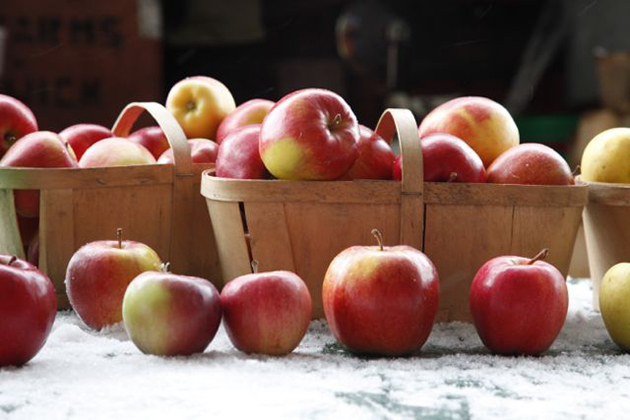 Fresh Ontario apples can be made into pies, sauce, butter, chips, juice, cider and baked desserts, but nothing beats the crisp taste of a juicy, apple, just picked and ripe for eating. Pulse together flour, butter and salt in a food processor until most of mixture resembles coarse meal or small peas. Add 2 tablespoons (30 mL) of ice water and pulse 2 or 3 times, or just until incorporated. Add more water if necessary to bring the dough together. Turn dough onto a floured work surface and form into a ball, wrap in plastic wrap and refrigerate at least 20 minutes. Meanwhile, wash the apples well, pat them dry and peel them, reserving the apple peelings. To make apple au jus, put apple peelings in a medium size pot, add honey and water. Bring to a boil and cook for approximately 15 minutes. Strain and set aside. Your au jus will be a lovely pink colour. Preheat oven to 375F (190C). On a lightly floured surface roll out dough into a 13-inch round and fit into a 10-inch tart tin with a removable bottom and fluted rim, trimming the excess. Brush the bottom of the shell with apple au jus and arrange the apples decoratively around the pastry shell, overlapping them. Drizzle the honey on top of the apples, top with butter slices and bake in the middle of the oven for 45 minutes or until the crust is cooked through and the apples are golden. 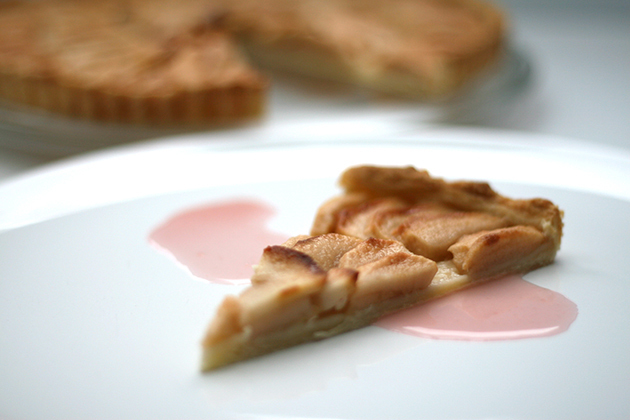 To serve, puddle apple au jus on a serving dish and lay a slice of warm apple tart over top. Makes 1 tart. This story first ran in the Food & Drink section of Look Local Magazine. Click An Apple A Day copy to see the entire article including a listing of Ontario Apple Growers and Pick-Your-Own Apple Farms. It’s not enough to plant your favourite veggies these days, the latest trend is to theme your garden for a summer full of trendy eating. 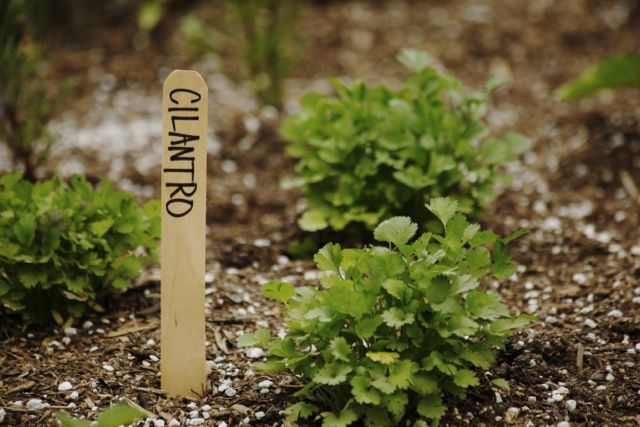 Traditional gardens with tomatoes, cucumbers and lettuce have taken a back seat to more avant-garde gardens with gourmet salad mixes, spa foods and edible flowers. 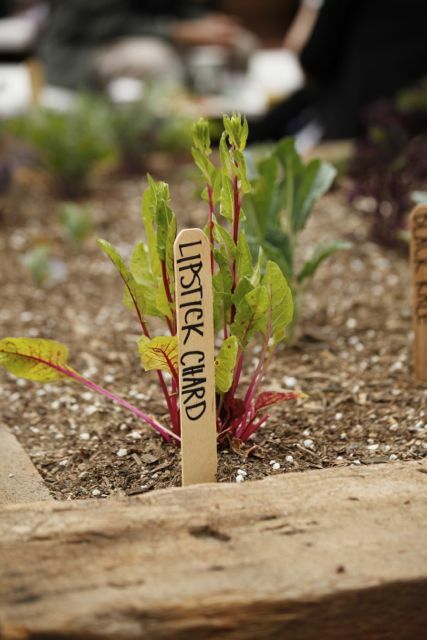 An avant-garde garden represents what we think of as the future of food. When I think of avant-garde cuisine I think of colourful food on the plate. Little red and yellow tomatoes and purple broccoli served on a platter with a fresh herb dip. Lettuces such as raddicchio and baby greens. Leeks and lemon grass for seafood dishes and plates decorated with edible rose petals. Unlike spices, which usually work best used in combination, herbs often taste freshest and most intriguing used on their own. A sprinkling of fresh basil over tomato salad, a few spoonfuls of sorrel puree added to egg or cheese dishes, a sprig of rosemary under a lamb roast, poultry rubbed with thyme, are all beautifully convincing examples of “less is more” in cooking. 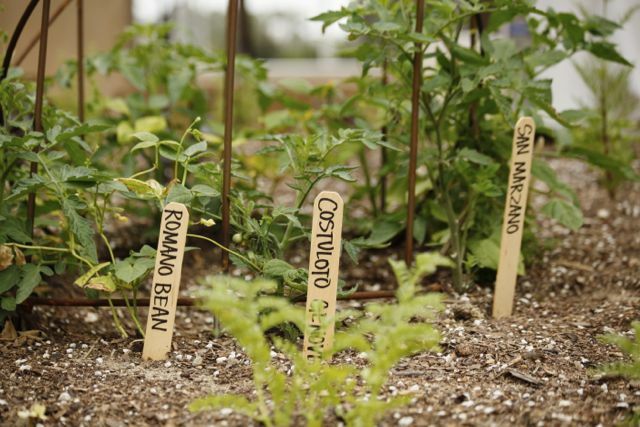 Avant-garde gardens represent a great period of food exploration today. Seed companies are always developing new varieties of vegetables, creative chefs are constantly introducing us to new foods and our personal penchant for traveling have all combined to spark a revolution from the garden to the table. A beginner can start with an avant-garde salad garden. Few edible gardens can be as useful and it allows you to pull off a memorable coup when you entertain with baby greens, edible flowers and exotic lettuces. Salad gardening is very easy to do because you can purchase a premixed package of salad green seeds. These seed mixes are traditional in parts of Europe and are called mesclun. Mesclun Provencal is popular in the Provence region of France and consists of various mixes of lettuces, rocket, finely curled endive and chervil. Don’t forget to grow a bit of lavender for a true Provencal touch. Mesclun Saladini is an Italian mix of greens, generally made up of four varieties of lettuce and five kinds of chicories. Each different mix offers a completely different flavour combination for your salads. If you can’t find a mix you like, plan on planting about five different types of lettuces; baby red lettuce, romaine, rocket, frilly frisee, radicchio and endive work great together. Add some herbs such as fennel, chervil or basil and don’t forget the salad garnishes such as red chard, rose petals or violets – even thinly sliced baby kohlrabi looks great. An Heirloom garden is another popular themed garden as more and more people are searching for the vegetables and flavours of the past. Heirloom vegetables are unusual old vegetables passed down within families and are a treasure chest of historical mementoes and treats. Heirloom vegetables are selected and maintained to match old-fashion cooking and storage methods. String beans with tough to remove strings but with a great beany flavour; peas that are starchy but perfect for making soups and large heavy beets that not only last forever in the cold cellar, but are incomparable roasted in the embers of a fire. Many gardeners mix a few heirloom vegetables into their traditional garden of modern day tomatoes and cucumbers to have the fun of growing unusual and tasty vegetables and to keep alive the less common varieties. Whether you garden for foods of the future or the past, this new trend in home gardening represents the unbroken arc from the garden to the table. It’s for all those people who love to get their hands in the dirt and work up to their elbows in the kitchen. To substitute fresh herbs for dried – use three times as much fresh herbs as is stated in the recipe. 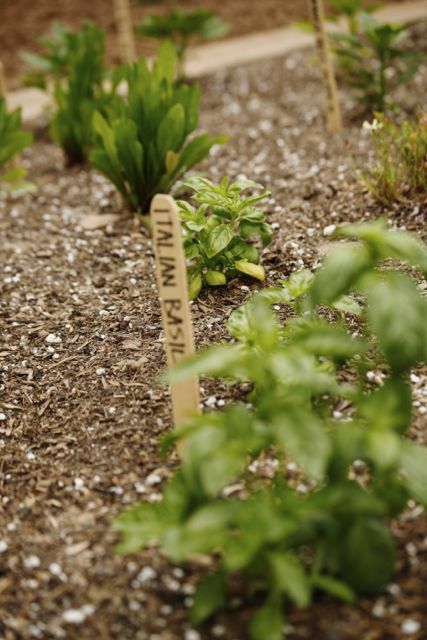 Fresh herbs are most flavorful when added in the final cooking stages as their delicate nature is not destroyed. Do not wash herbs until ready to use! Rinse gently and pat very gently to dry. This is a delicious harvest sandwich. Heat olive oil in frying pan. Add sweet pepper cook over medium heat until wilted, about 10 minutes. Add garlic and onion and cook for another 5 minutes. Add basil leaves and a sprig of oregano. Cook just long enough to blend the flavours and wilt the herbs. Lay two slices of bread on a cookie/baking sheet. Divide the vegetable mixture over each slice of bread, discarding oregano and top with slices of fresh tomato and cheese. Broil until cheese is warm and soft, about 3 minutes. Season with salt and pepper. Makes two open face sandwiches. For more great garden recipes, click on this! Doris Lacoste or “Ris” as her friends call her is owner and chef of her own restaurant in the Georgetown neighbourhood of Washington, DC. Ris culinary journey to Paris and back (USA) has been serendipitously entwined with culinary icon, Julia Child. With a degree in French, Ris set off for Paris to perfect her language. She landed a job as a secretary at La Varenne in exchange for a degree in French cooking. She stayed in Paris for a few years. 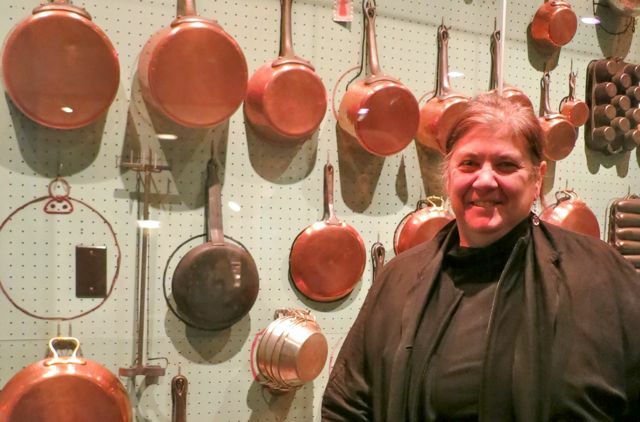 It was a great job that put her up front and centre with Paris’ top chefs and it was here she first met Julia Child. They’re paths would cross again and again in Massachusets when Ris returned and again in Nantucket. When Ris moved to Washington, started the DC chapter of the American Institute of Wine & Food (AIW&F). It was Julia’s organization and when Ris sat on the national board, she found herself working Julia again. So when it was Julia’s 80th birthday, Ris jumped at the chance to work with her. She prepared Julia’s birthday party on her 80th birthday, 90th birthday and 100th birthday. It was during her 90th birthday party when Ris recorded a documentary called “Cooking for Julia”. Julia child died 2 years later (2004) but Ris went on to plan a huge 100th birthday celebration. Julia’s family attended and it was at RIS Restorante. “I still have Julia on speed dial” says Ris who fears she may need to buy a new phone soon. “I would call Julia and ask her for her favourite foods and she would say veal, asparagus, oysters and chocolate almond cake. That is exactly what I would make”. Julia’s birthday is August 15 and now at RIS Restaurant August is the month to celebrate Julia Child with her favourite dishes. Last year they did a Battle of the Burgers – Julia’s Burger against Ris’ Burger. This year she’s not sure what she’ll do but for sure it will include some Levitra Online of Julia’s favourite foods. 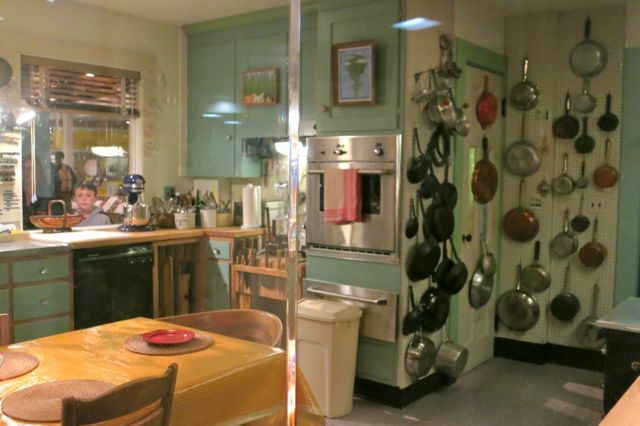 Ris and I went to the Smithsonian Institute’s National History Museum where Julia’s kitchen is on display. Everything in that kitchen was exactly as it was the day Julia died. Ris remembers being in that kitchen in Massachusetts and she shares some of her more intimate stories. Ris is melancholy at this place she rarely visits. Julia’s kitchen is at the entrance of the Food in America exhibit. We walk around and took a look at all of the food wisdom of the ages. As much as I loathe processed and fast food, the museum explains how many of the convenience, processed foods were invented to fill a need at the time. While those needs no longer exist today, the processed food industry is stronger today than ever before based on opportunity and greed. Ris and I are kindred spirits. We both come from large families that loved us with food. We both shop at the farmers market, we insist on knowing the farmers we buy from and we both cook from scratch. We both lament that more people and chefs don’t do the same but then again, it is a real skill to pack all that delicious foraging into a busy day. But for us, it just makes the busy day worth while. So what is her cooking like and what did I have? Ris has a super light touch and a healthy slant to her cuisine. 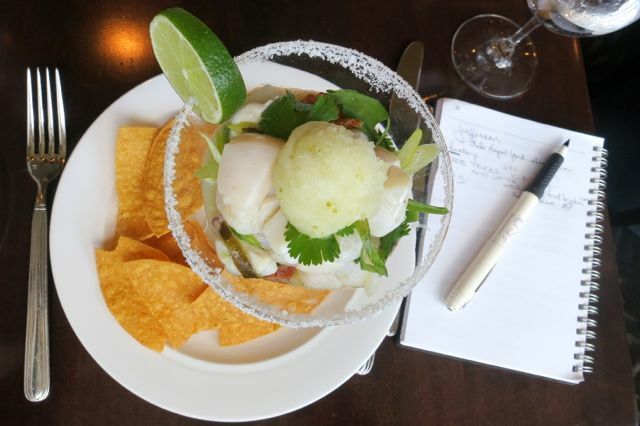 I will always remember the Scallop Margarita with its light, bright flavours and the Miso Salmon Tartare with its crisp, warm elements on an uber light body. Food that makes you feel so much better for eating it. I would eat here every day if I lived in Washington and who wouldn’t want to eat the food from the amazing chef who cooked for Julia Child. Julia aside, Ris Lacoste is quickly becoming a culinary icon of her own. Click here for more pictures of RIS. Washington, DC is nothing if not rife with politics. When we asked permission to take photographs it was no surprise to get this answer, “as long as no one complains. 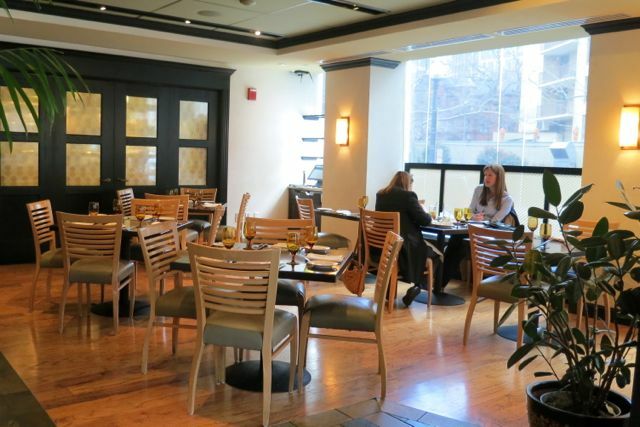 After all, this is DC and most often there are people dining here with someone they shouldn’t to be seen with.” In fact, at Marcel’s on Pennsylvania Ave NW, there is a small circular room that is made more secretive with a curtain that encloses the entire table. “It was Petraeus’s table table,” we’re told with a giggle. 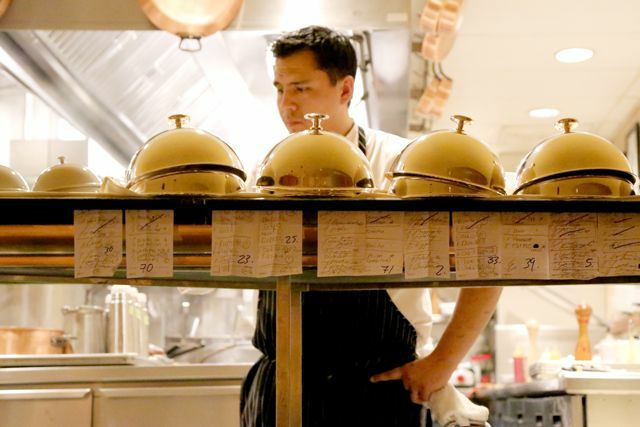 Marcel’s is one of Washington’s high-end restaurants that focuses on finding the best food from farmers around them. Inside the décor is stunning, it was a French farmhouse movie set when it was purchased and turned into a restaurant. Diners relax in a soft, romantic ambience with arched ceilings reminiscent of a European cathedral. Service is classically traditional. When you get up from your seat, someone immediately runs over, folds your napkin and strategically repositions it. This hasn’t happened to Jon and I since we dined at Maze, Gordon Ramsey’s restaurant in London, England. The dining experience starts with a glass of French champagne – how royal are we feeling now? Head Captain is Jonathan Crayne. 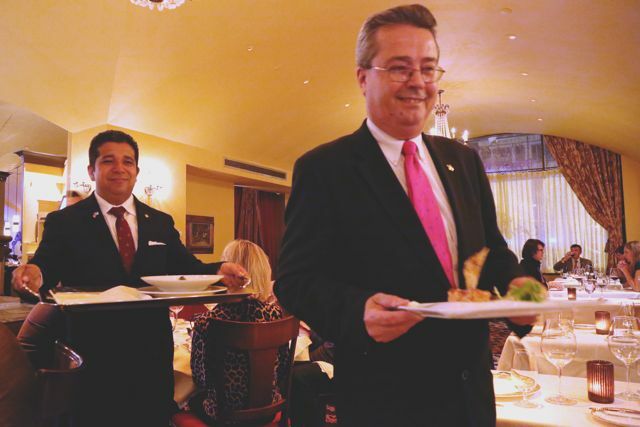 Jonathan is the quintessential, European-style waiter with class. He’s what everyone who’s ever worked in a restaurant should aspire to be like. Jonathan opened Windows on the World and watched it close on 9/11. After 6 months of making sense of it all, Jonathan set his sights on Marcel’s in Washington, DC and has been here ever since. So what is a classical waitor? Jonathan can make tableside steak tartare, Caesar salads and flambéed cherries jubilee. He has an equal talent at making diners feel special, and pampered; like they are the most important person in the world. The menu at Marcel’s is long with dozens of dishes. The concept here is that you pick 4 courses, 5, 6 or even 7 courses. The dishes are listed in order of light, fresh flavours and as you go down the list the flavours gradually get richer and more robust. Jonathan explains the dishes are small, tasting portions but this is really code for non-American portions. 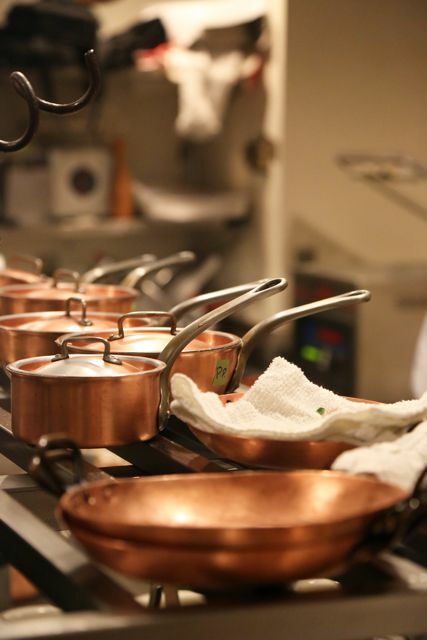 Our dishes come and they’re the perfect size. 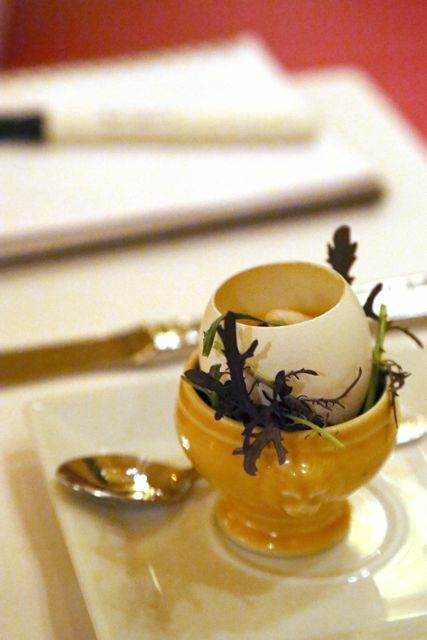 This is classic French Belgium cuisine by chef and owner Robert Wiedmaier. With our champagne, we’re served the chefs amuse bouche, a lobster flan with truffled cream, fresh Scandanivian shrimp and caviar. It’s super rich, uber light and is a beautiful match to the champagne. At the table across from us is Jayson Pahlmeyer of Pahlmeyer Winery of Napa, California. Jonathan gives us a sip of the 1991 wine, a blend of Cabernet Sauvignon, Merlot, Cabernet Franc, Malbec and Petite Verdot. It still has big, strong bones and a blockbuster body – wow! 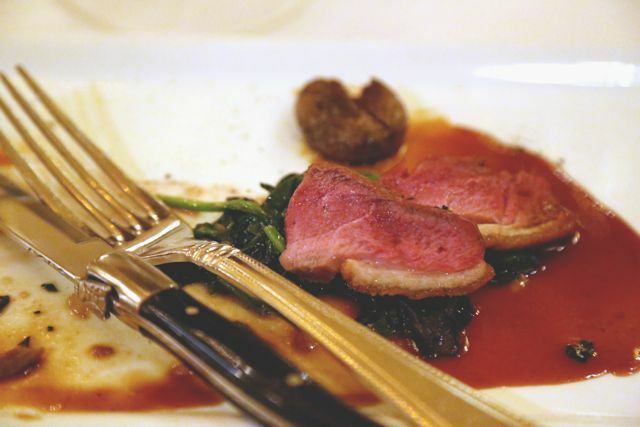 Marcel’s is the kind of restaurant where people come to celebrate special occasions and significant life milestones. 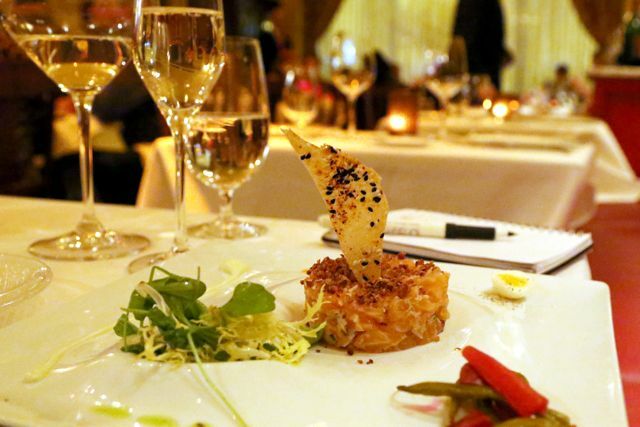 People splurge for the privilege to savour the over the top dishes that Wiedmaier is famous for. Others come for the privilege of being seen and some come for the discretion of not being seen. The cuisine is unlike any I’ve ever tasted. The accompaniments on the plate are equally if not more exciting than the main attraction on the plate. 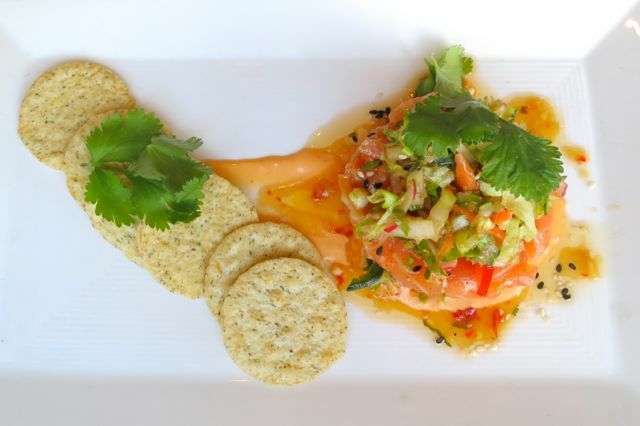 The first course was the Salmon Tartare with Yuzu and Wasabi Crème Fraiche with Smoked Bacon Crumble, Quail Egg and Sesame Tuile and the Pan Seared Diver Scallop with Bamboo Rice, Coconut Cream and Pineapple Chips. Second course was the Chesakpak Rockfish with Pineapple Pico de Gallo, Pork Belly and Coconut Cream and the La Belle Farm Duck Breast with Black Trumpet Mushrooms, Roasted Baby New Potatoes and Duck Jus. For dessert was a celebration of Washington’s Cherry Blossom Festival. It was a double chocolate fudge soufflé with rich cherry ice cream, burgundy crème anglese and candied cherry blossoms – oh yum! Click here for more pictures of Marcel’s.